Aum Shri Sadguru SaiNathaya Namaha ! Bow to Shri Sadguru with deep and Loving Gratitude ! 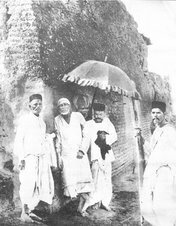 As mentioned 2 days earlier in Intense love is all that guru wants, less than 3 parayans of Shri Sai Satcharitra are left. The heart gets the message to go really slow with these last 3. Even looking at the road sign ‘Go Slow’, Baba’s message to go slow with parayans come to the mind. Last post The kiss of Shirdi Sai Baba was born out of a devotees comment on facebook. This one comes from a post on google buzz by Shastri X. | April 30: Never be in a hurry, do everything quietly and in a calm spirit. 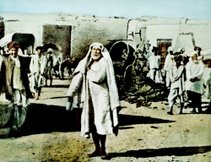 Reading this immediately, brought about the words of Sai Baba, “Sit quietly and calmly with Me.” To so many devotees Sai Baba had said, these words when they visited Him in Masjid (Dwarkamai), while Baba was in flesh and blood. Baba’s words never die, Even today we can listen from Baba, “Sit quietly and calmly with Me.” Baba suggested, this was the best way to be in the company of Guru. Again this leads to Intense love is all Sai Baba wants. When one is in love, it is very important that the mind, heart and the whole system is calm and receptive. Then the love of Sadguru sinks deep within. An agitated mind and heart, is a block to the love, a wall standing between Baba’s love and our heart. Sadly, most of us prefer to go to Sadguru when the mind and heart is agitated. As if Sadguru is a place where we throw all our agitation. Sadguru’s immense love and compassion is there to wipe these agitation out. He is there to accept these agitations and His divine grace is there to wipe them off. But it does not end here, Baba’s love is also waiting. And to receive love we must love. i have seen young boys and girls when falls in love. They do things like writing the beloved’s name in books, walls and trees and any place they can write it down. 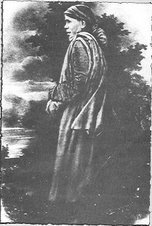 They keep a picture of beloved in books and other places to keep their personal belongings. They keep things gifted or given by their beloved. This is the kind of love we should have for Baba. Chant Sai Baba name, why? because i love You Baba! Read Sai SatCharitra or keep it close, why? because i love You Baba! 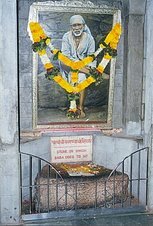 Look at Baba’s picture or idol or do seva or Worship of the same, why? because i love You Baba! Do things that pleases Baba and keep away from those which Baba says NO, why? Because i love You Baba! 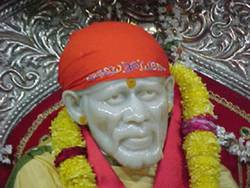 Visit Shirdi and sit in places like Dwarkamai, Chavadi , Gurusthan and Mukhdarshan, why? because i love You Baba ! 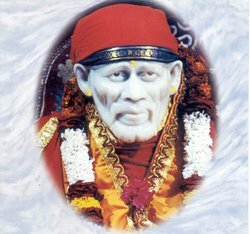 All the time anything i do, Baba’s loving remembrance should occupy the heart. Sit lovingly with Baba when the spirits are calm and quiet. Or, have a look on ourselves are we calm and cool, ready to receive Baba’s love and grace? One, of these very good stories is worth mentioning here. 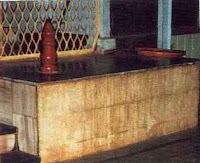 Once king Akbar was sitting in prayers at a sacred place. A person was waiting for kind King Akbar. In the middle of prayers the emperor Akbar noticed that the person, waiting for him, stood up to leave. Akbar signaled him, stay. After the prayers Akbar asked him that why did he want to leave. Could not he stay for few minutes until the prayer was over? 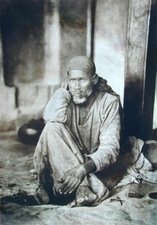 We beg for love from beggars, when our Sai Baba is anxiously waiting for the same to give in abundance. If we are seeking love for us and our loved ones. Let it be asked from Sai Baba. This Baba gives instantly, whether we are aware of it or not! 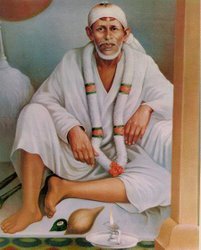 Om Shri Sai ! Om Shri Sai ! Om Shri Sai ! Om sai ram... Nice post..
as mentioned by shri sai baba, we will have to enjoy the fruits of our past deeds. So please have patience.